Introducing our newest, largest big screen outdoor TV specifically designed for outdoor viewing. 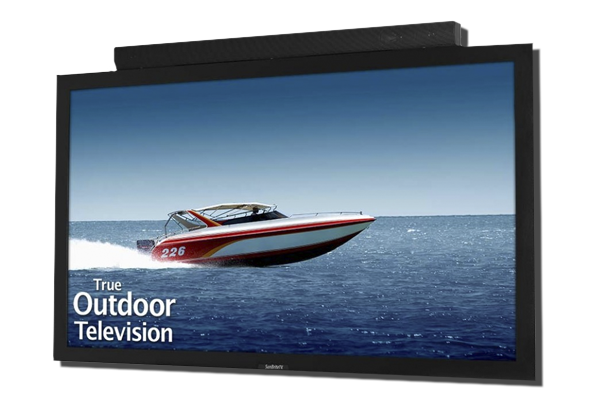 The SunBriteTV 84″ Pro Series 4K Ultra HD is a breakthrough in the outdoor living industry. SunBriteTV model SB-8418UHD – designed for “big entertainment” – is direct-sun tolerant and includes a glass shield to provide extra protection to the LED panel from harsh weather and outdoor conditions. Built-in heating and cooling systems allow the unit to operate in temperatures from -40 to 122 degrees F. Built with style, take a 360-degree look. This is the one! 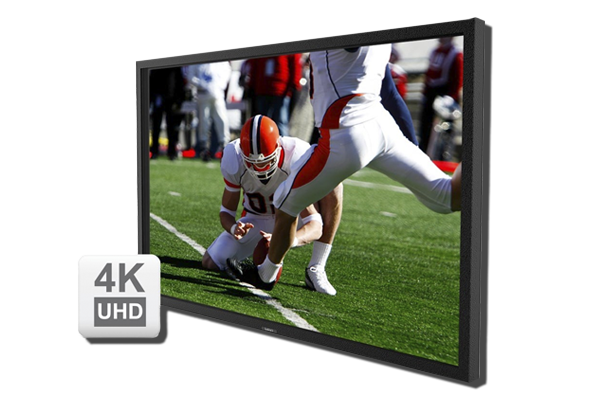 The 65″ Signature Series LED outdoor HDTV is sleek, bright and weatherproof. Designed as the ultimate HDTV for outdoor deck, patio, pool, or BBQ areas, the 65″ SB-6570HD true, all-weather LED outdoor television makes a grand statement as an outdoor entertainment center-piece. Don’t miss a game, event or favorite show while enjoying the outdoors day or night. For best viewing experience, place the SB-6570HD under an awning, roof eave, gazebo, or over-hang away from direct sun. 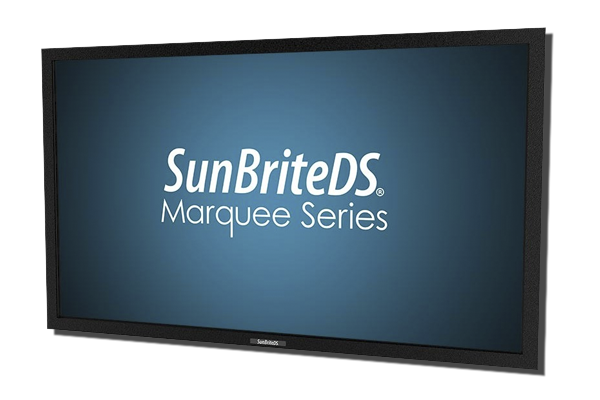 For direct sun use, see our Pro Series outdoor HDTVs with EST technology. The SB-6570HD includes a powder-coated aluminum exterior for extra durability against humidity, salt-air, rain, heat and snow … ability to operate in temperatures above 120 or -20 degrees F., and full-HD 1080p. Introducing the NEW Marquee Series 55″ ultra-bright, outdoor, 2500 NIT all-weather LED-LCD digital signage display with built-in tuner. Direct-sun readable with high temperature Enhanced Solar Tolerance (EST) technology to resist isotropic blackout, the DS-5525L is a break-through in commercial-grade digital signage technology for high-traffic outdoor venues. Complete with anti-glare protective glass to guard against vandalism, powder-coated rust-proof aluminum exterior for durability and an accessible rear panel for efficient field servicing, the DS-5525L outdoor digital signage display is the perfect mix of toughness and ease-of-use for large-scale, demanding environments. For more information and news, please visit the SunBriteTV website.